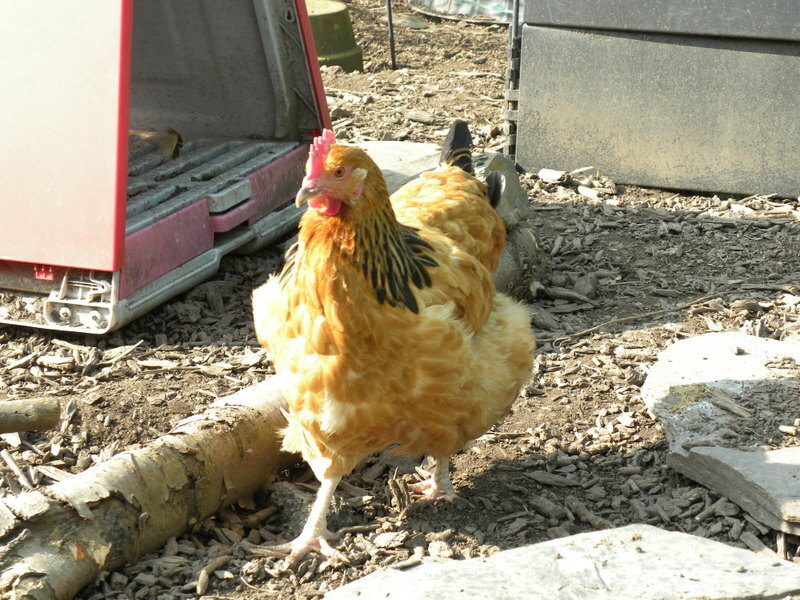 Connie is out and about again … but she has never been ‘one of the crowd’ so is often on her own somewhere, and usually runs in the opposite direction if you throw some treats in the way of the hens. 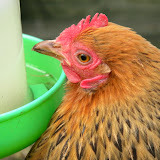 Her legs look as if there might still be some scaly leg mite around, so one evening, when they’re settled in the coop, I will take them out one by one and dose them with Frontline*. I smothered Connie’s legs with Vaseline a while back, which is said to help, so I might do that as well, at the same time. It was a very windy day … ! It’s taken a while, but the Moppets have now learned that there may be treats when I appear at the back door (and that I’m worth investigating even if I’m not calling them!). They still don’t come close, but they do come running … quite a sight. 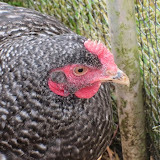 The long-term broody bantam was a lightweight to begin with. She weighs no more than her feathers now. In the past I’ve gone to great lengths to break a brood just for that reason, but it’s not always practical, so this time we decided to let nature take it’s course. 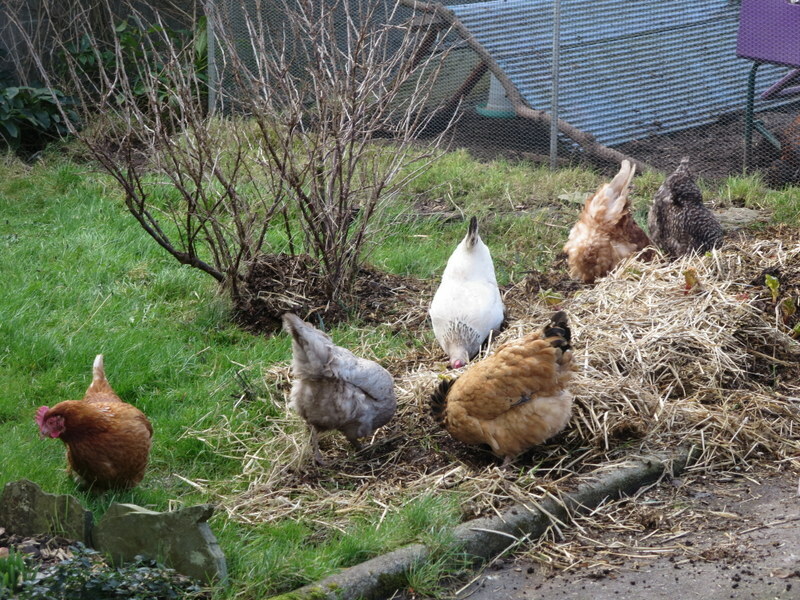 Certainly, when I lift her out, her crop seems reasonably full and is still soft, so she must be eating something. 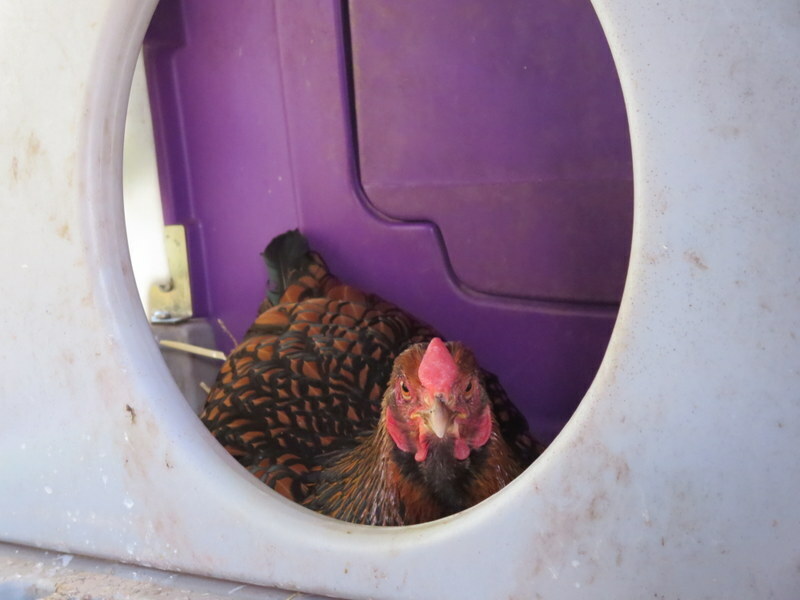 Sadly, we had to cull our last ex-batt … she had a prolapse. So now we are five of each. 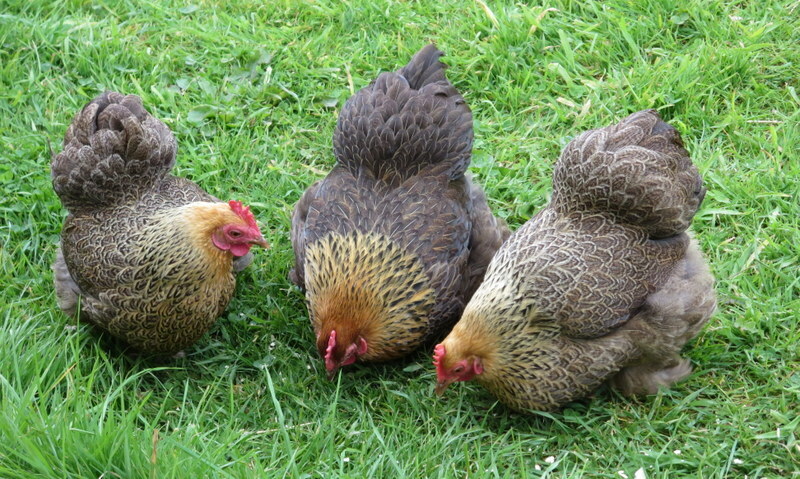 The bantams are elderly, at least as far as we know – we have had them over two years and they were supposedly 3 or 4 years old when they arrived. 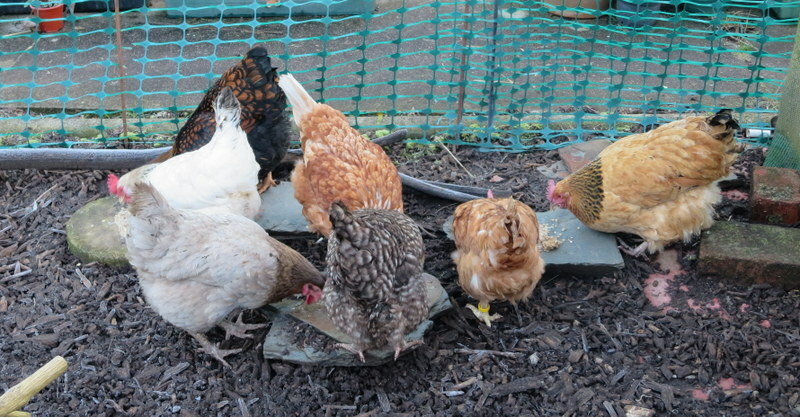 While the hens came a year later at point of lay, about 4 months old, so must be around 19 months old now … just past the age of commercial viability. And certainly their egg quality isn’t as good as it has been. 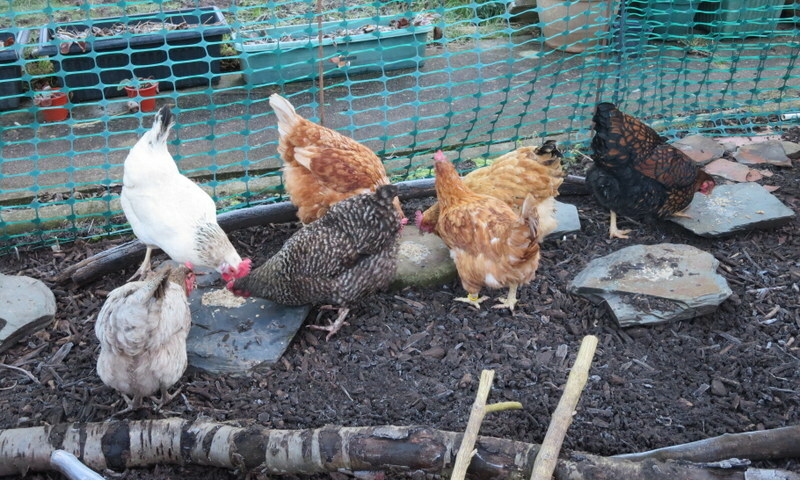 We’ve no plans to get any more hens for a while (we had thought last year that we might be moving house and the idea of moving a dozen hens was really quite daunting). 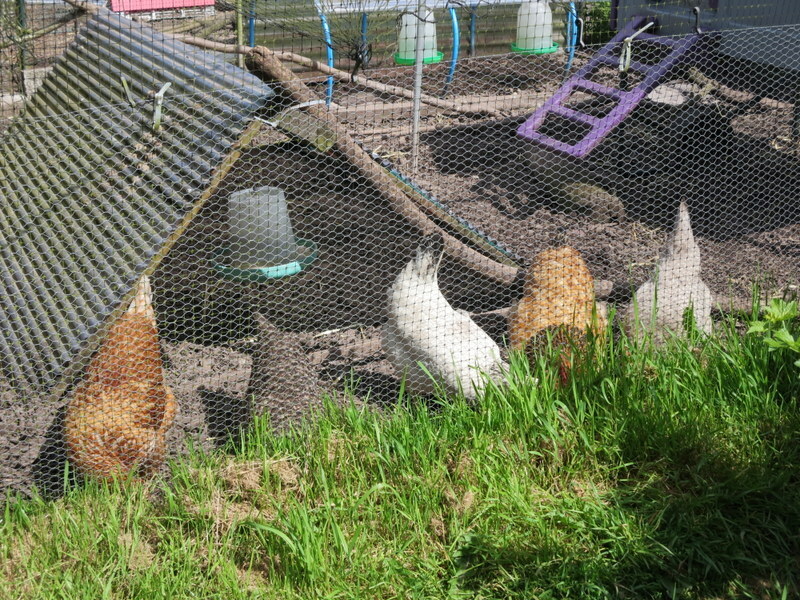 And indeed, with our regular chicken-sitter out of action, it’s been difficult to get away as often as we are used to. But DH loves his girls, so we are content. 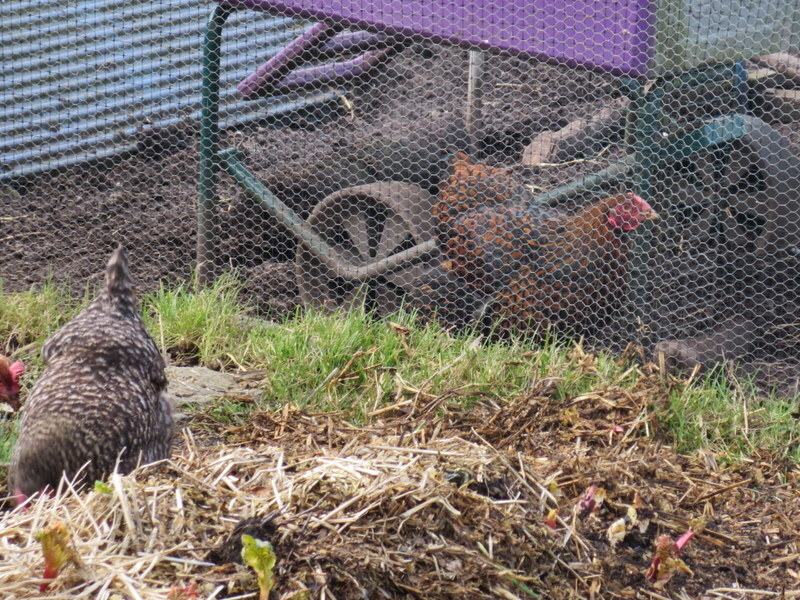 Perhaps I should investigate a house-swap with some like-minded chicken keepers somewhere … ?! 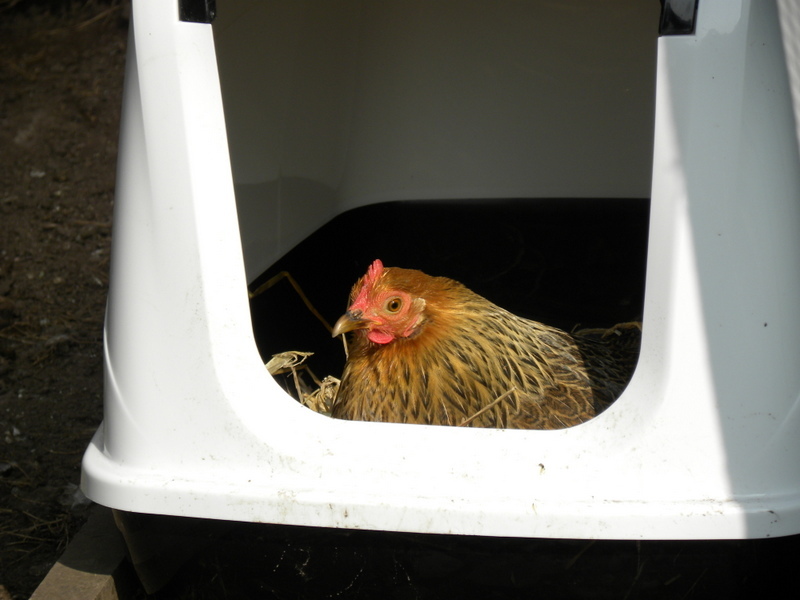 * Not licensed for hens, but effective in treating mites and lice. 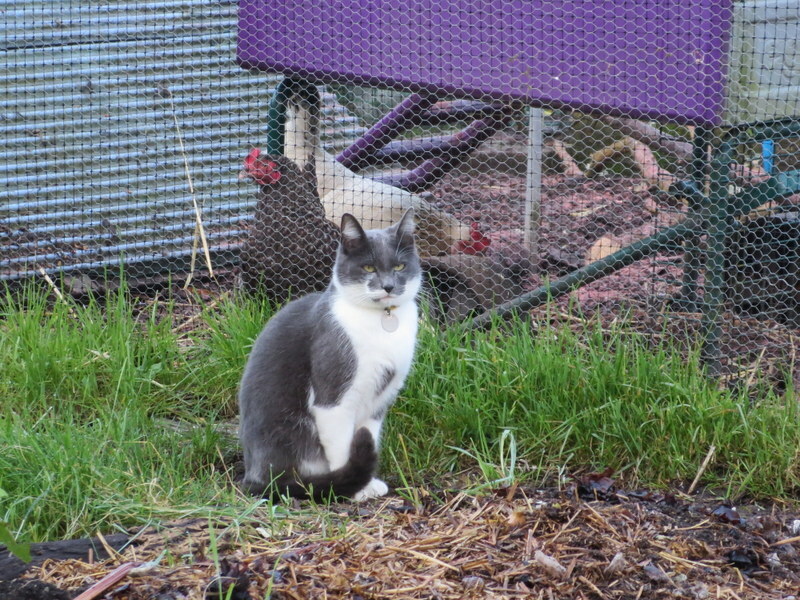 However, in our area, Frontline is no longer effective against cat fleas, which is it’s primary purpose. Today is the Spring Equnox, a partial eclipse of the sun (85%), the Queen is in town, and my daughter is coming home from Uni for the holidays! Can you see the crescent? 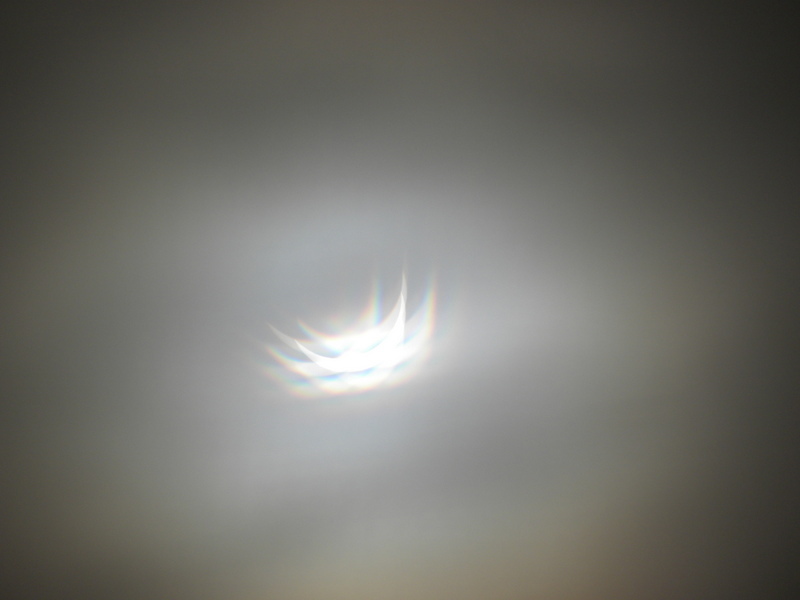 The prism effect is because I was using a piece of white cloth as a filter … and actually, I’m quite pleased with it. At least you can clearly see the shape! 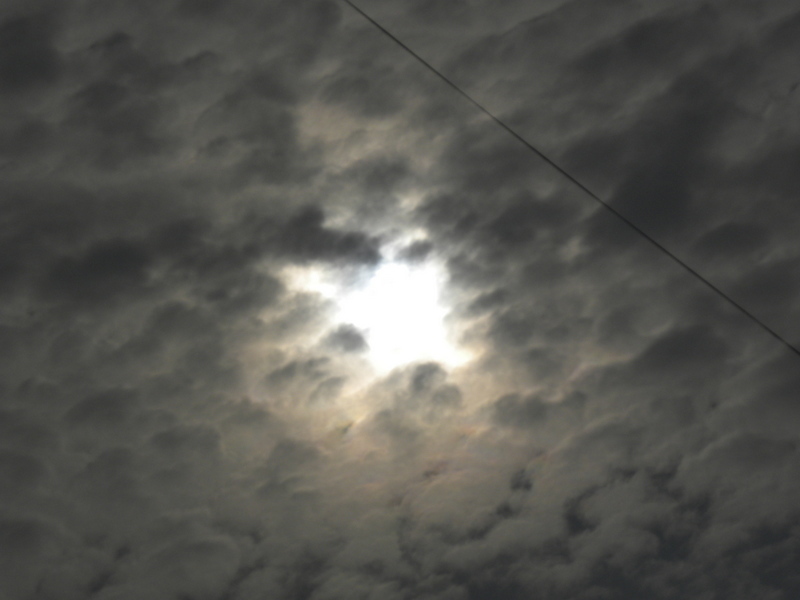 The eclipse passed, the sun came out again (from behind moon and cloud both) and we have had another, lovely, sunny day. Spring is here. So frustrated the wallflowers are all yellow! I planted a mixed pack last Autumn – I love wallflowers and their scent – but only the yellow appear to have germinated. 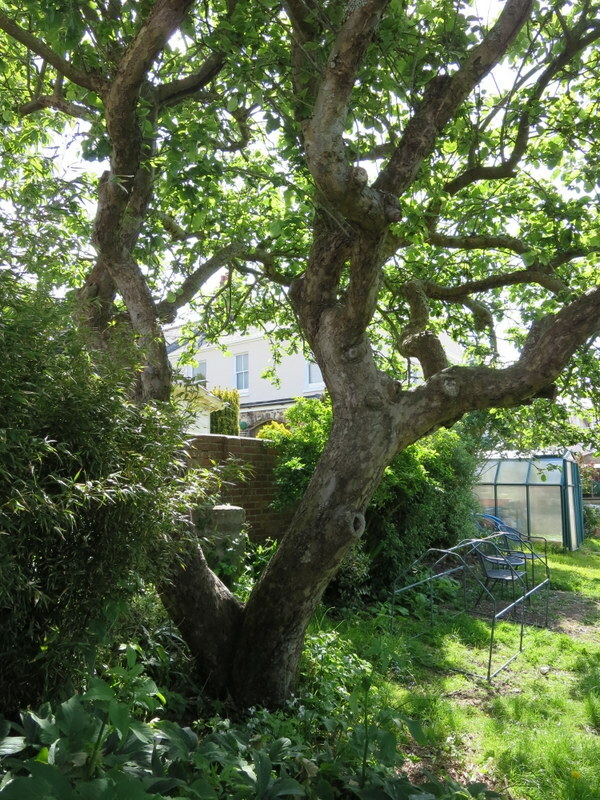 I really enjoy watching the birds in the branches, but once the leaves come, it’s a lot harder to spot them! 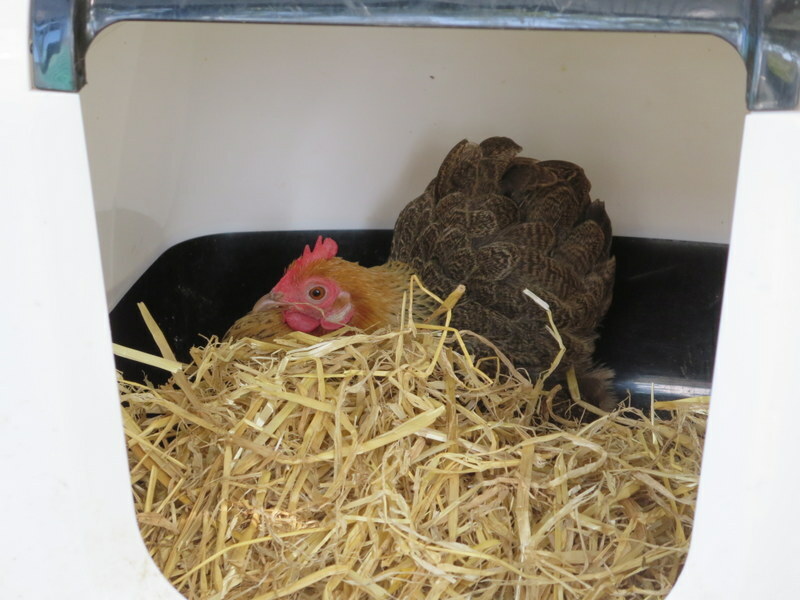 I hope she is only laying and not sitting … it’s a bit early in the year just yet. Just look at those glossy feathers! They were a happy bunch! 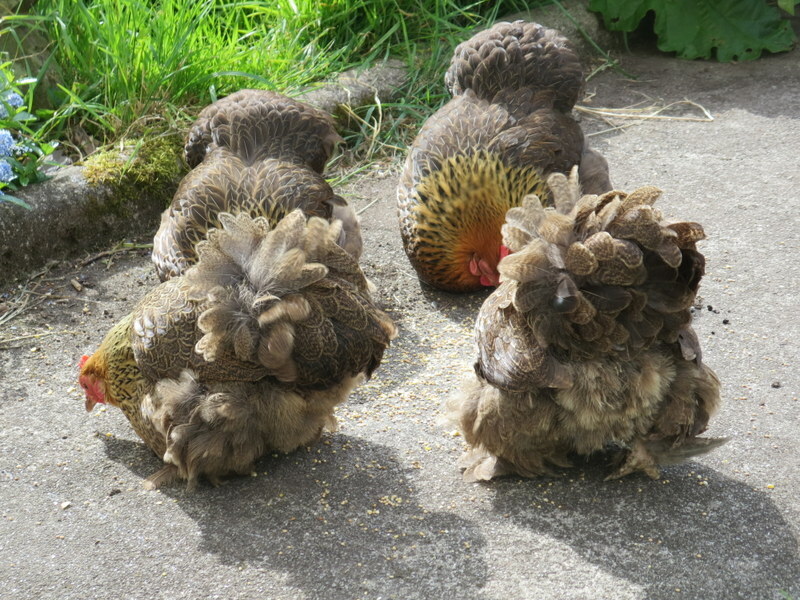 Our ex-batts and Moppets are really quite elderly now, but the only one that concerns me is Bertha … she looks beautiful with a full set of feathers, but there’s nothing more to her, and she often looks under the weather. I’ve noticed before that sometimes when an ex-batt goes through a moult she never quite recovers … but I shall leave Bertha be, as long as she is active and enjoying the occasional treat or two. 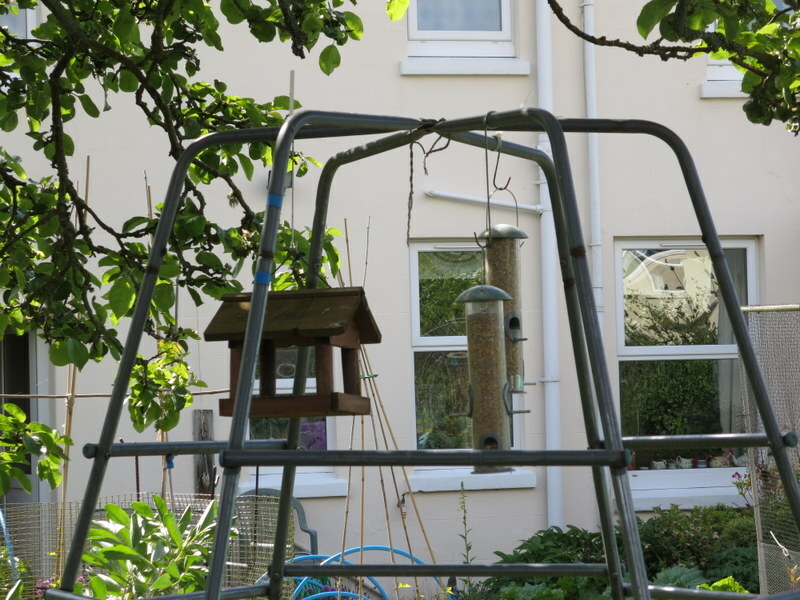 I took the camera out with me today, as I changed nest boxes etc. I also took some cooked veg from Sunday lunch and some sprats from tea! The vegetables, roast potatoes and fish disappeared in a flash … of course! 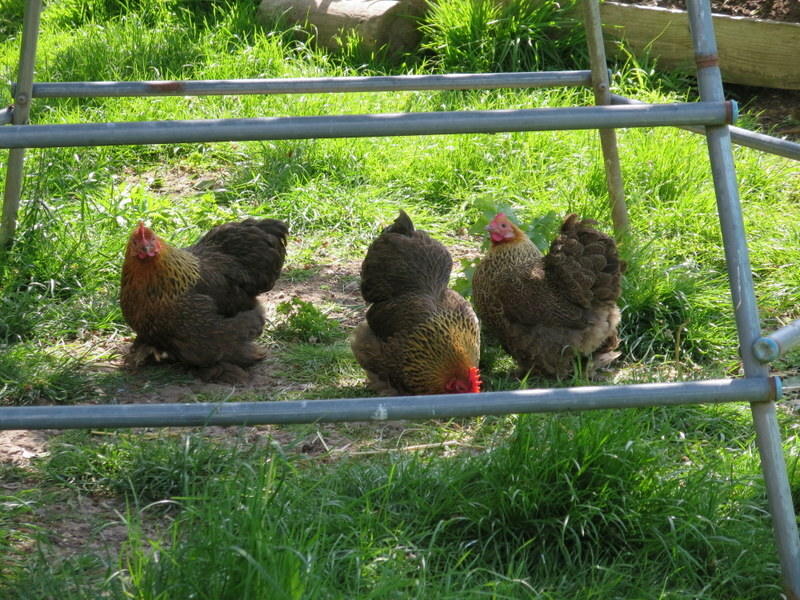 The wind took the gate to the Hen Garden and Run … and out they came! 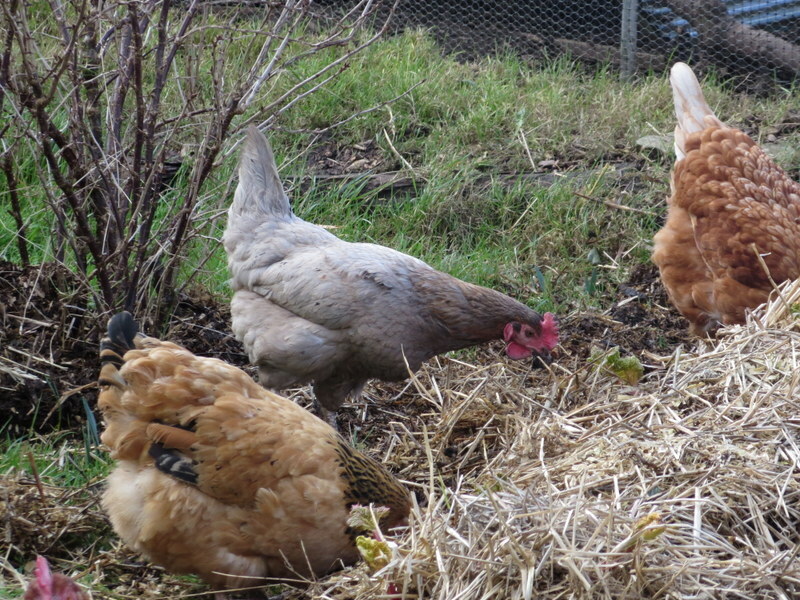 I was surprised they made straight for the rhubarb patch, not least because rhubarb is poisonous to hens. 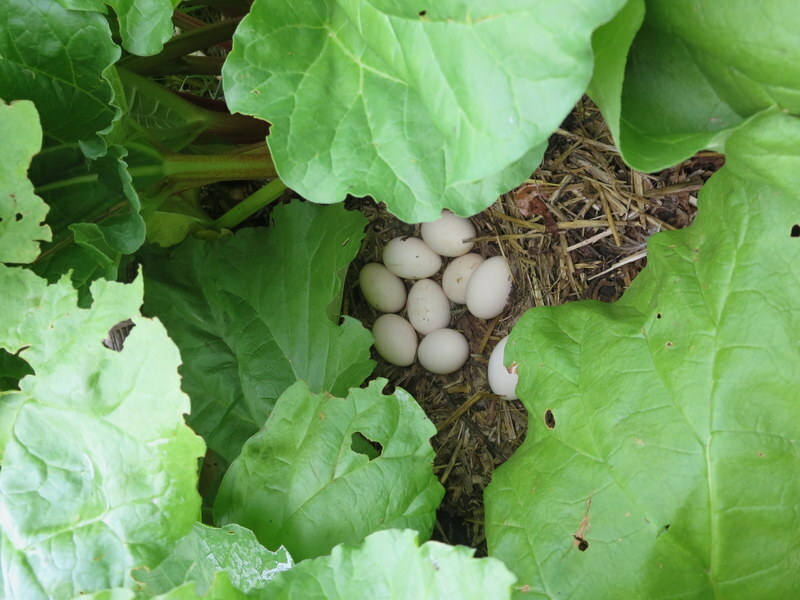 But they weren’t after the rhubarb shoots (though they destroyed a fair few in the process) … they were digging out worms from the compost! Actually, the corn bucket also drew the attention of the Moppets, though only one was brave enough to follow the big girls, and even she failed to summon up the courage to follow into their territory! 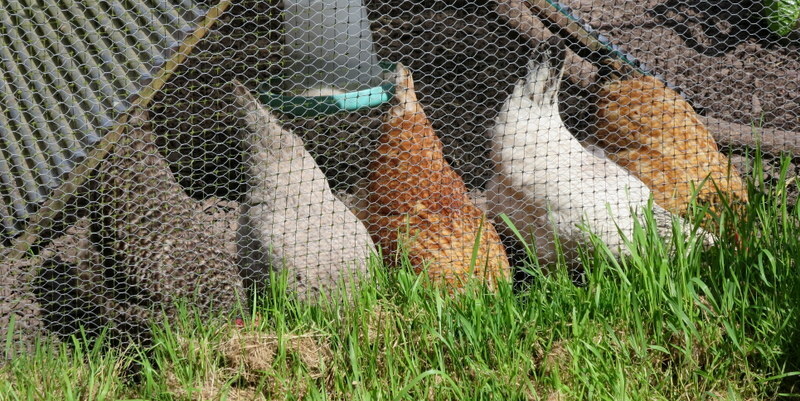 I though we might have to find a way to round them all up and remove a few diminutive hens, but it didn’t come to that in the end. I’m glad about that, not least because we were about to eat our lunch when we noticed the problem! 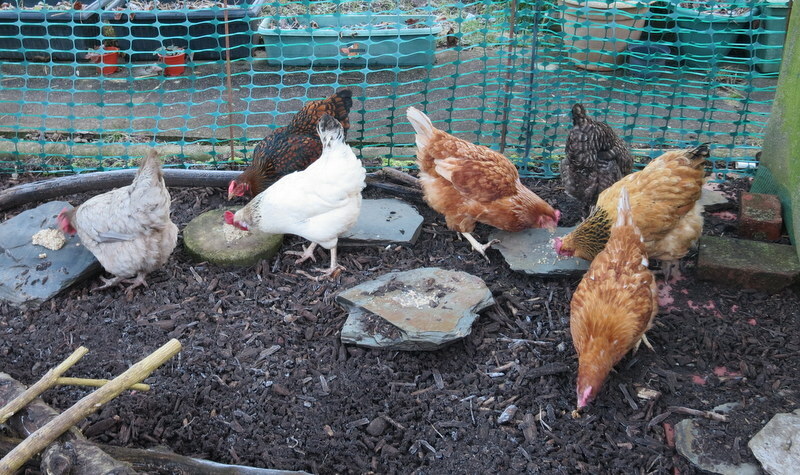 OK … so the porridge is spread out on the stones, but then it’s easier for them all to get some! Actually, I did put the Moppets’ share in a bowl, but none of the photos were any good! 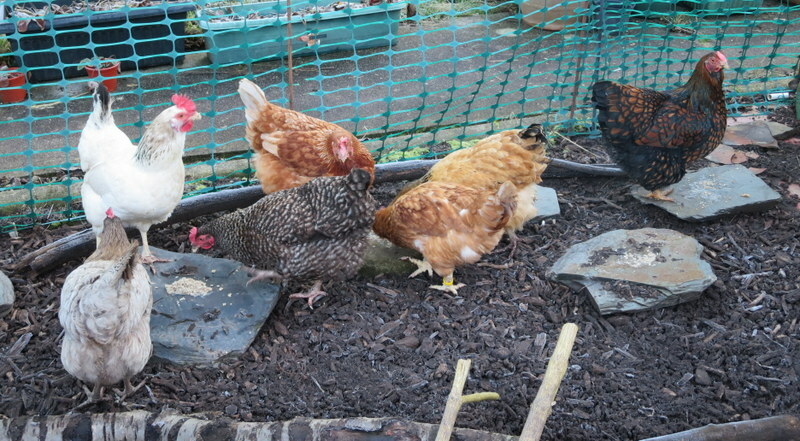 It lasted only a matter of moments … weetabix and porridge oats mixed with warm water and limestone flour … yum! 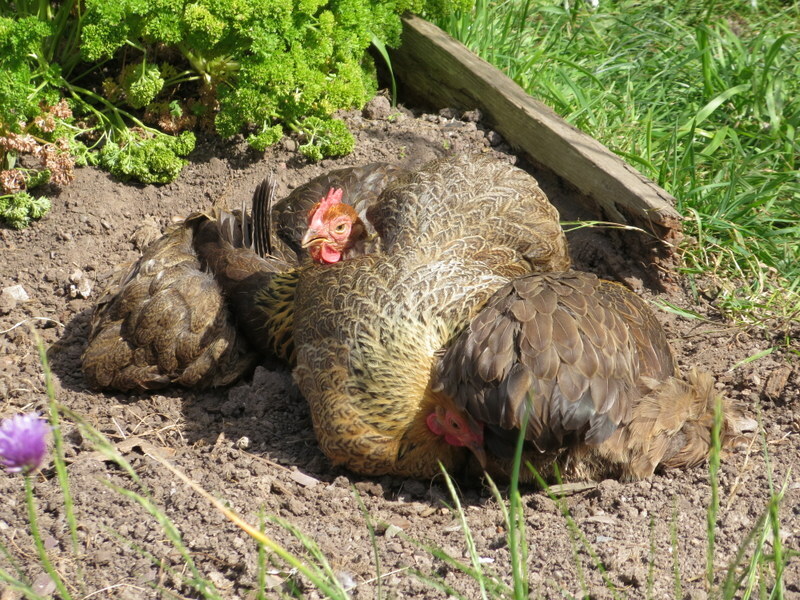 We’ve had a couple of softies from an ex-bat (I assume) coming back into lay, and one of the Moppets is laying thin shelled eggs, hence the limestone. It may not make any difference as they are both rather elderly, but it’s worth a try. 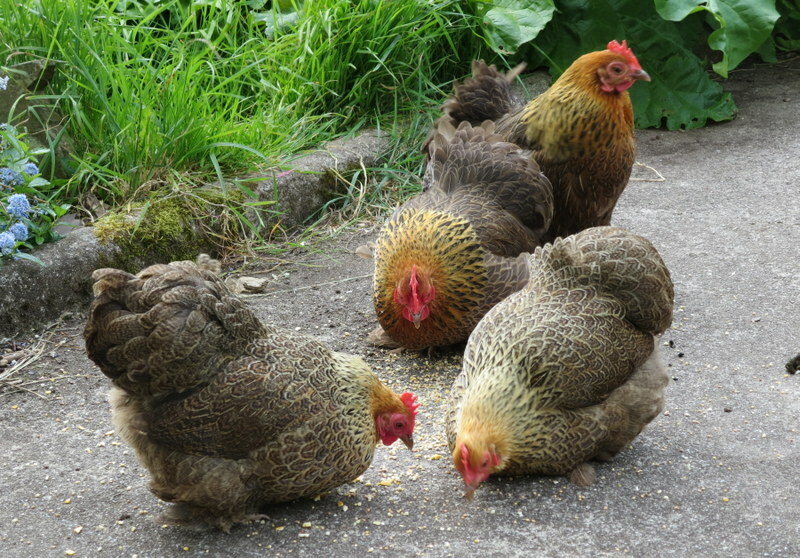 We’ve had a steady stream of eggs over the winter … 2 or 3 hen eggs a day, and 2 bantam eggs every other day … just enough for the two of us now that we’re empty nesters, with left overs to sell (or bake cakes for the church coffee mornings!). We follow Alan, Owen and Ozzy – three older men grappling with the challenges of growing old in a modern world. 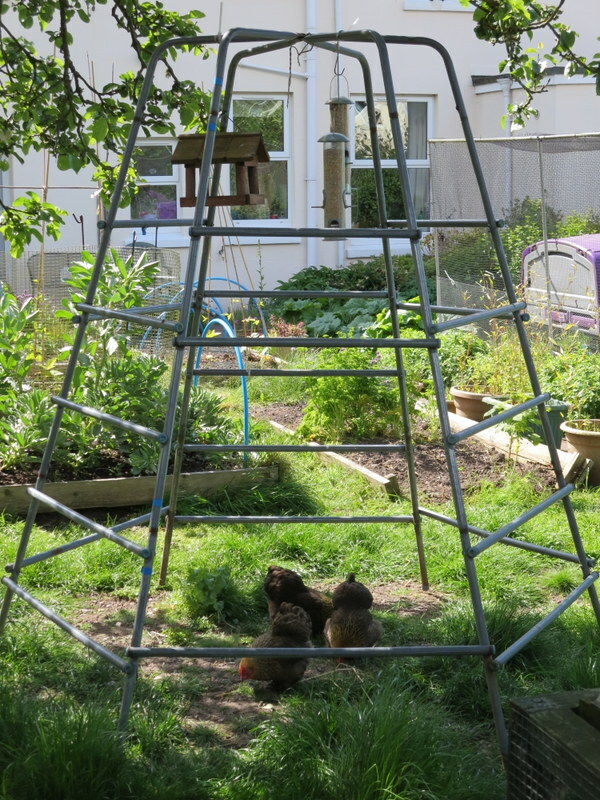 They expose the seldom explored issues of loneliness, depression and dementia but find comfort and company in the new hens at their quirky supported living scheme. This documentary tackles the sometimes difficult reality for ageing individuals and the transition to life in supported living schemes. Thousands of older residents are silently and stoically battling chronic loneliness, clinical depression and undiagnosed dementia while having to adapt to a rapidly changing world. We lift the lid on this delicate topic and draw the viewers into the day to day lives of three older men.